Those words are incompatible with the evangelical culture of our day. We live in a world that is polluted with noise and speech; from the constant chatter of a television to the never-ending tones of a smart phone. This barrage of sound has even invaded our places of worship, effectively obstructing the voice of God’s Spirit. Unfortunately, this contamination has even seeped dangerously into our personal relationship with God, especially in our prayer life. Solomon offers profound advice to Christians today; specifically, I see two ways we should be applying this verse to our lives. Okay, Solomon may not have said these exact words, but the first sentence is informing us in no uncertain terms that we need to shut up – especially in the presence of God. How often have we followed in the corrupt pattern of the Pharisees and believed God would be impressed with our many religious words? 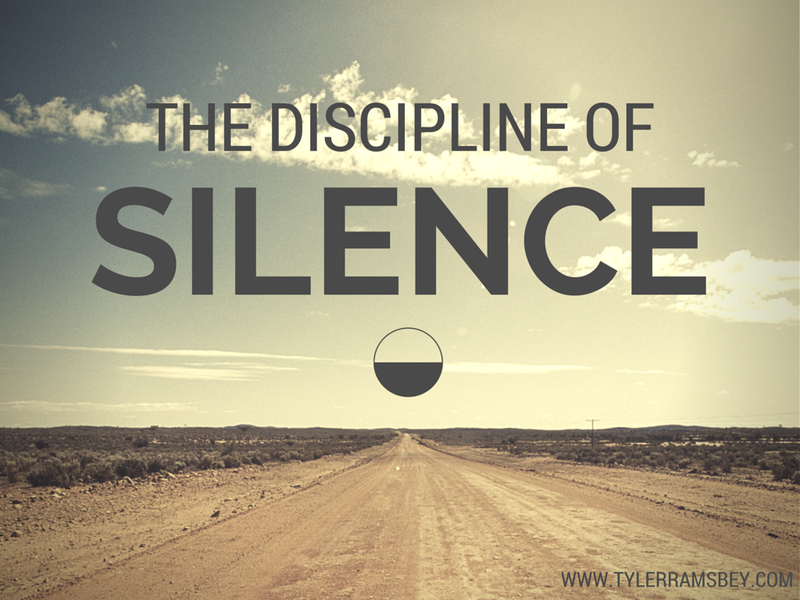 When was the last time, at a corporate church service, can you remember the pastor or worship leader calling for a time of silence to hear God? We are ADDICTED to speaking. The reason we are fixated on our own speech is because we have trust and power issues. We have a strong desire to be in control and we refuse to relinquish it – even into God’s hands. Realize that you really aren’t that interesting or intelligent. Imagine yourself sitting across the table from a world-renowned author and teacher in your field of study. You have been studying this field for one year; on the other hand, this teacher has been active and studying the field for 70 years. How foolish would it be for you to take over the conversation and explain to this expert how much you know – interrupting him every single time he tries to get a word in edgewise? That is EXACTLY what we do in our prayer lives. We are so arrogant that we forget God is in Heaven and we are on earth – He sees the end from the beginning. He has all power, authority, and knowledge – completely transcendent and altogether different from the rest of creation. Yet WE lead the conversation, don’t we? God is far more willing to speak than we are to listen. I believe God is calling us, through the words of Solomon, to shut up and listen. God desires to speak to YOU but YOU do not keep your mouth shut long enough to hear the still, quiet whisper of His Spirit. I exhort and encourage you to spend time actually LISTENING to God this week. Set apart time in your morning devotionals to truly be still and allow Him to teach you. Friends, spiritual maturity is not measured by the quantity of your speaking but by the quality of your listening.